If your financial situation seems to be hopeless to you, it may be a good idea to use this angelic advice. Angels help you to find a way out of financial difficulties by helping you to find a better job, or they will provide encouragement and support for entrepreneurs. Their advice can be valuable for people who have fallen into debt and do not know what to do. The message of the angels regarding finance not only can help you to understand that every financial problem can be solved, but it will also give you the courage you need to take the next steps in business. The interpretations of these cards are all about finance, and therefore the answers you receive will be based on this topic as well as professional matters. Due to this, you can expect a specific and extensive prediction with the financial cards. Remember that it is possible to overcome even the most difficult situation, and any difficulties in finance or at work can provide you with a valuable lesson to learn from. There are no no-win situations, because there is always a glimmer of hope. Even if you take out a loan and then do not have the money to repay it, you may find that certain signs around you, as well as unpredictable situations, will guide you along the right path. 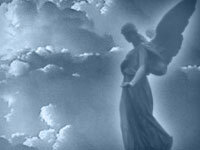 If you want to get some advice from the angels about your current financial situation, you can get it here. Their prediction is a guideline for you, which can give you valuable information and help you to understand your current situation. Focus and think carefully about your question. Try to remove all negative thoughts from your head and believe that you will get the answer from the angels. We hope the advice will be helpful for you and will give you valuable guidance.